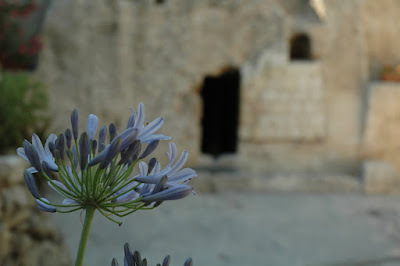 The empty tomb symbolizes the power of Christ and new life through the Atonement. It symbolizes joy and wonder and even possesses mysterious significance. In like manner, the mother’s empty womb symbolizes the power of creation made possible through our Heavenly Father. It is a sacred event as is the Atonement and Resurrection of our Lord and Savior, Jesus Christ. It symbolizes physical life offered to a spiritual being. It offers joy, wonder and mysterious significance. Mysterious because it is easy to ask, “How is this done?” The only answer can be through God, through His infinite wisdom and power." Just like Jesus left his tomb empty when he rose again, so did my little boy leave my womb empty when he was born. The symbolism between birth and the atonement is so incredible and as I pondered on that phrase "He is not here" I realized what a miraculous thing I had just been a part of. I'd just given one of God's precious sons his mortal body. A body that, because of Christ's resurrection, would live eternally and had the potential to become a God. The full magnitude of that knowledge has overwhelmed me and I over the last several days I've found myself looking in awe at my deflated belly. "... Naked came I came out of my mother's womb, and naked shall I return thither." For some reason that scripture struck me. I stopped and pondered about it and my mind was directed towards the story of Christ's resurrection. I went back and re-read the story and discovered a fact that I had never noticed before. I had never noticed it before but when Christ was resurrected He took nothing with Him, not even His clothes. The women who came to anoint His body found the empty clothes lying in the tomb, bearing testimony to the truth of what Job said, "... Naked came I came out of my mother's womb, and naked shall I return thither." Just like we came into this world with absolutely nothing except our bodies, we will leave this world with absolutely nothing except our bodies. Both the womb and the tomb are places of transformation and those who enter emerge as new beings. The womb is a place where bones, sinews, muscles, organs and nerves are all organized and ordered. One enters the womb as only a few cells and miraculously emerges nine months later as a mortal being with millions of cells. In a similar manner the tomb (death) is also a place of transformation. One enters it with a mortal body that will corrupt and decay, yet because of Christ, one day that body will be organized and ordered again and will emerge as an immortal being. The image of resurrection being a literal birth is very powerful for me, because even with all our medical advances we know very little about how human life is created or the process that governs labor and birth. Whenever I witness a birth, as a doula or at the emergence of my own children, I find myself in awe of the incredible miracle life is. How can a living, breathing person be created out of only the materials housed within a woman's body? It makes me cry, like Robyn mentioned in her essay, "Lord, how is it done?" It is truly miraculous and if I hadn't seen women do it-- over and over a thousand times a day all over the world-- I wouldn't have believe that such a miracle was even possible. I feel that same way about the resurrection. The whole process is so mysterious to me. How is there any way that a human being who has been dead for thousands of years, whose bones have turned to dust, be reconstructed and reunited with their spirit? It seems impossible and makes me question doubtfully, "Lord how is it done?" Yet Christ, with His empty tomb and left behind clothes, is a testament that just like miracle of mortal birth is possible, the miracle of resurrection is also possible. In fact, the processes aren't all that different-- they both require a sacrifice of blood, water and spirit. The most incredible thing is that both birth and resurrection are free gifts; one given us to us by our mortal mothers and one given to us by Jesus Christ. They are gifts that no matter how hard we try we will never be able to repay. How very grateful I am for both of those gifts. This is an excellent and beautifully written post. Thank you so much for sharing your thoughts! Wonderful. I have been thinking a lot about the womb/tomb this Easter too. So fun to see that it was on your mind as well. Love you! You've done it again, Heather, merging the beauty of womanhood with the divinity of the Savior. Thank you for sharing these profound thoughts with us. I love it! Thank you for sharing your insights, Heather! That is beautiful! I was crying as I read it. I love how these posts plant seeds in our minds and grow to fruition in ourselves and our lives. As a student midwife I can relate, I play a big role as Doula when mothers have no other, and the spirit at my own births is what first drew me to birth as a profession. Beautiful, Heather! I love your insights and appreciate that you shared them with us. What a beautiful post, Heather! I am amazed how all those dim and tangled thoughts and feelings I have fall into place by your insights all the time! That's why I love reading your blog so much! Excellent connections! I love how you've expressed them so beautifully. Definitely pinning this to my Worth Reading Again board. What an honor to be quoted by you Heather. I love what you added to it. Every time I read your posts about birth I want to have another baby. Thanks for your great blog! Wow- this is fabulous! When you shared you in the shower after giving birth and the thought "he is not here"- Chills! Amazing! This is really wonderful and something that should be shared on Mother's day! This is really lovely, Heather.